Copyright © Ulf Engstrand 2014. This is a plugin that lets you load and save Amiga (.info) files. 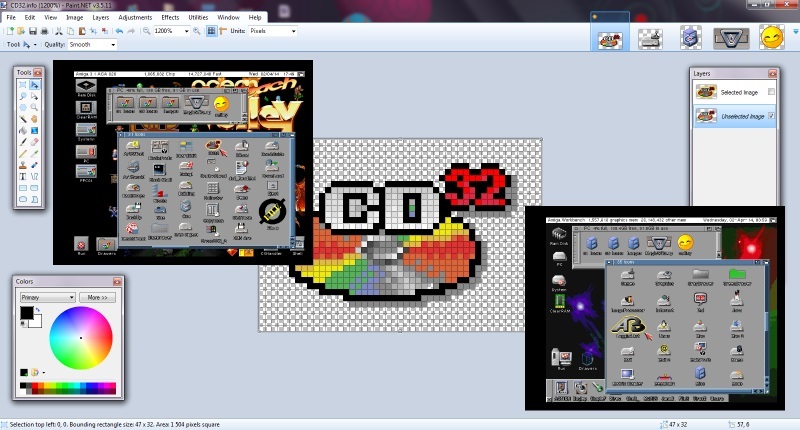 Copy AmigaIcon.dll and AmigaIcon.palettes to your Paint.NET FileTypes folder. If there is any interest I may implement support for NewIcons. Please send bug reports or feature requests to me. I can highly recommend the LowColor plugin by jxp for reducing color depth. There are no warranties whatsoever on this plugin. Use it at your own risk.